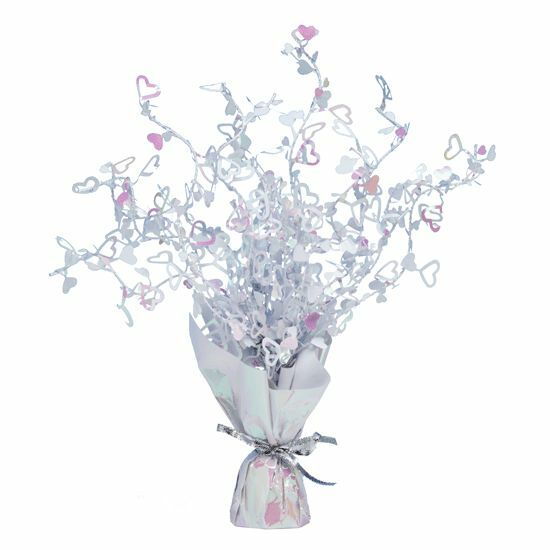 Table centrepiece with iridescent hearts which have a soft hint of pink. This can also be used as a balloon weight. 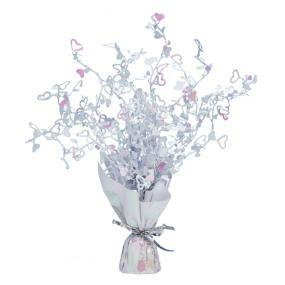 This centrepiece provides an instant and effective table decoration. The centrepiece measures 38cm high.